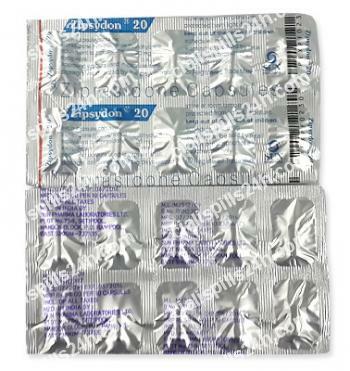 Geodon is used to treat schizophrenia and the manic episodes of bipolar disorder. It possesses high affinity to dopamine D2-receptors and more significant affinity to serotonin 5-HT2A-receptors. It is supposed that the medication blocks serotonin and dopamine receptors and inhibits the re-uptake of serotonin and norepinephrine in the brain and this way shows its anti-psychotic activity. Geodon is used to treat psychotic disorders, schizophrenia, and affective disorders. Due to its potentially serious side effects it is administered only if other medications have proved inadequate. The recommended dose for adults is 40 mg two times a day and should be corrected for each particular condition. Geodon is available in dosage of 20 mg, 40 mg, and 80 mg. Maximal dose is 160 mg a day. Take it orally with a meal. Dose correction is required in patients with with hepatic impairments. Cautiousness is required when the medication is administered in patients with severe hepatic failure, bradicardia, electrolyte disorders. This medication causes drowsiness so certain cautiousness is required while driving and operating a machinery. Geodon cannot be used in pregnant and breastfeeding women excluding cases when supposed benefit prevails over potential risk for the unborn baby. Patients hypersensitive to the medication cannot take it. Individuals with the extension of the QT interval (including congenital syndrome of extension of the QT interval ), recent acute myocardial infarction, decompensated heart failure, arrhythmia treated with administration of class IA and III antiarrhythmic drugs cannot be treated by Geodeon. Effects of the medication in the patients under 18 y.o. have not been studied. Side effects cannot be anticipated and if occur they are transient. Adverse reactions include: asthenia, accidental injury, headache, drowsiness, dizziness, tremor, anorexia, vomiting, cold symptoms, upper respiratory infection, stuffy and runny nose, nausea, constipation, diarrhea, indigestion, cough, dry mouth, fatigue, involuntary muscle contractions, muscle aches, muscle tightness, rapid heartbeat, rash, skin fungus, twitching, vision problems, weakness. Thioridazine (Mellaril), moxifloxacin (Avelox), pimozide (Orap), quinidine (Quinidex), dofetilide (Tikosyn), sotalol (Betapace), and sparfloxacin (Zagam) should not be taken with Geodon due to increased risk of serious disturbances in the heart rhythm. Carbamazepine (Tegretol) diminish effects of Geodon while Ketoconazole (Nizoral) acts just the opposite as well as itraconazole (Sporanox), fluconazole (Diflucan), nefazodone (Serzone), verapamil (Calan, Isoptin, Verelan), erythromycin, clarithromycin (Biaxin), and diltiazem (Cardizem, Tiazac, Dilacor). Symptoms of overdose may include anxiety, drowsiness, tremors, slurred speech, and transient high blood pressure. Contact your doctor immediately in case of suspected overdose. Store at room temperature, 15-30 C (59-86 F) away from sunlight, moisture, children and pets.